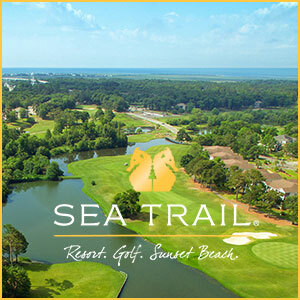 The Coastal Carolina Region offers so many activities and attractions that you’ll have a hard time deciding what to do and what to skip. The Brunswick County Golf Community and surrounding close by area features over one hundred competition courses. In addition visitors can enjoy pier and deepsea fishing, parasailing, jet ski rentals, miniature golf courses, fishing villages, crabbing, golfing, bird watching and boat cruises. On Ocean Isle Beach North Carolina there are the Museum of the Coastal Carolinas and just a few minutes drive, between Ocean Isle Beach and Sunset Beach NC, is the Ingram Planetarium where you can explore the heavens. With so many close by activities to indulge in, your golf vacation will leave you wishing you had more time to explore!